What will power the ships of the future? Will the industry manage on its own to transition out of its dependency on heavy fuel oil, or will regulations be needed to force a change? Is LNG the fuel of the future, or more of a placeholder while greener alternatives ramp up? Will the first movers into new technologies inspire others to follow in their wake? To gather some solid perspectives on these and other challenges and opportunities facing shipping as we enter into the 4th Industrial Revolution, ABB Marine & Ports has launched its Shipping 4.0 concept with a high-level roundtable discussion on the ‘Power of the Future.’ Industry leaders and journalists met with ABB experts to discuss the technologies and power sources that are shaping the maritime industry. 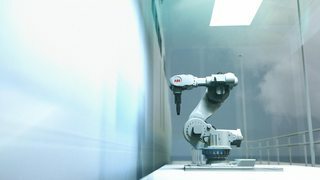 In response to the changing needs of the industry, ABB can also announce the role of Global Product Manager for Energy Storage Systems has been expanded to include the development fuel cell solutions. 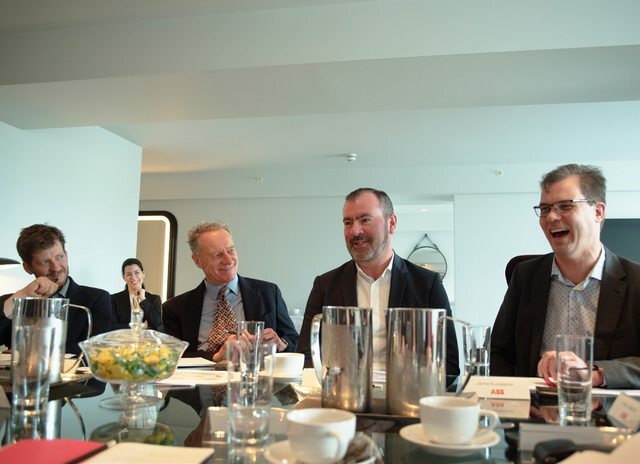 >> Discussing the power of the future – Rolf Sandvik (second from right) leads the discussion on energy storage. Moving on to new power sources, John Olav Lindtjørn elaborated on the expanding role of batteries onboard: “Batteries can contribute to more than pure propulsion. They can compensate for sub-optimal engine operations, or serve as a backup, reducing the need for auxiliary power, and thus reducing emissions.” He was supported by ABB colleague Jorulf Nergaard, who pointed out that batteries have the potential serve these and many other purposes that can improve a ship’s overall efficiency and economy. True to form, the press corps posed another sticky question: Will shipowners be able to convince customers to pay more for transportation without a reward for using green solutions?